Providing you the best range of Dc Watt Meter for DC Current Measuring with effective & timely delivery. Ajinkya Electronic Systems are one of the leading manufacturer, exporter, supplier of Current Testing & measuring Equipments. 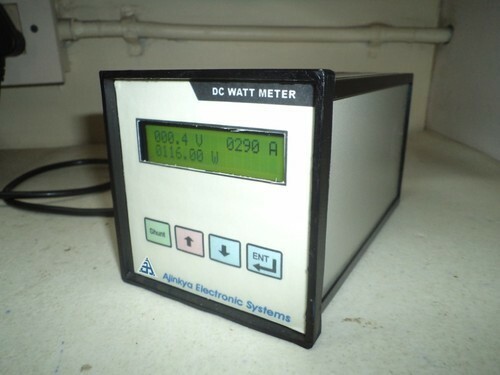 DC watt meter that is widely used to measure DC power during load. This product is highly acknowledged and displays accurate reading. Available in various specifications it can further be customized as per the requirements given by the client.